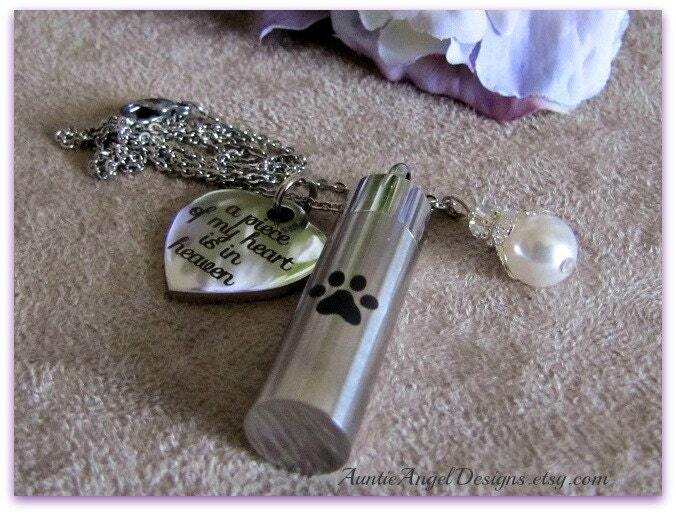 My exclusive "Paw Prints in Heaven" necklace is crafted from a quality stainless steel cylinder cremation urn pendant with a stainless steel heart charm which reads "a piece of my heart is in heaven," and a genuine Swarovski pearl and Swarovski crystal-faceted bead dangle. 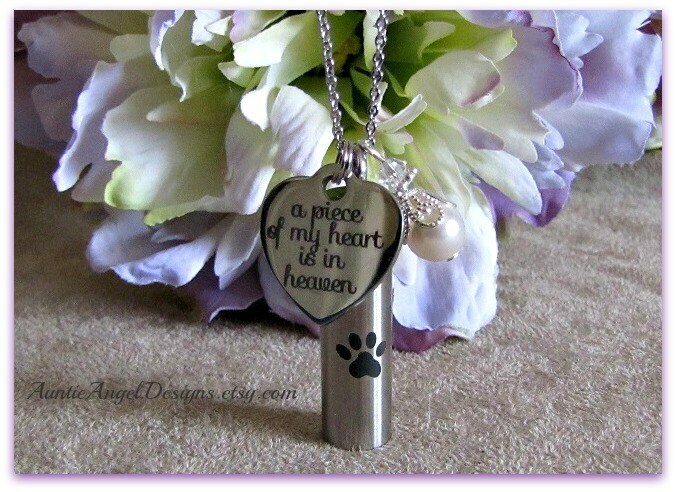 This unique pet memorial keepsake urn is used to cherish a small amount of your beloved pet's cremated remains or a small lock of fur. 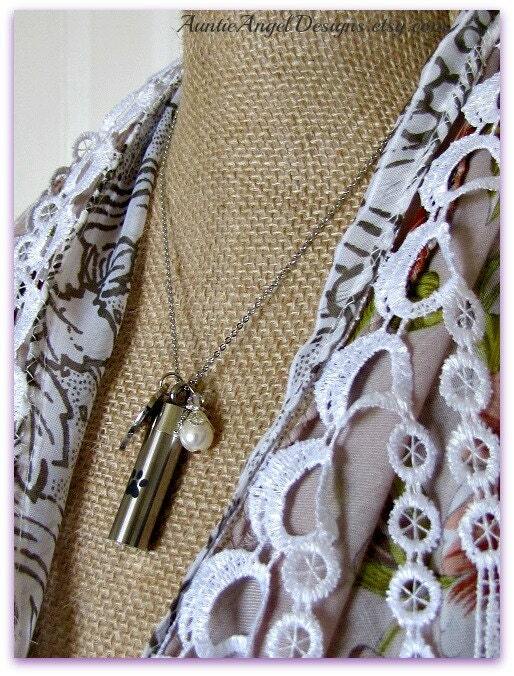 The paw print cylinder urn pendant measures slightly over 1-1/2" tall including screw top and is strung on a 21" stainless steel cross link chain. Your precious pet sympathy keepsake necklace arrives on my specially designed backer card, which reads: "There are no goodbyes for us. Wherever you are, you will always be in my heart." 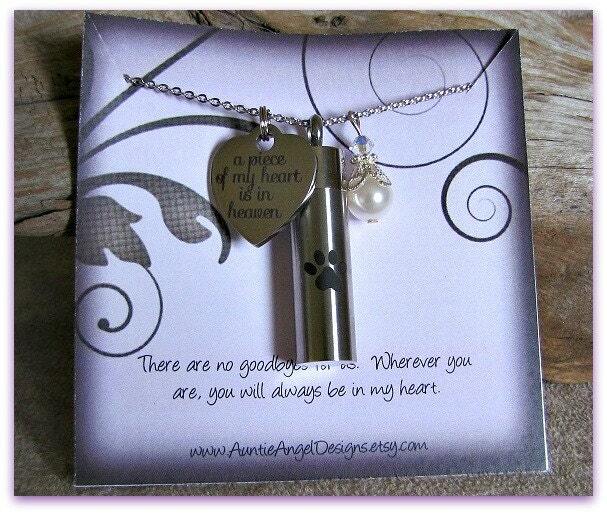 I include a funnel kit so that you may transfer a small amount of your loved one's precious cremains through the top of the pendant. 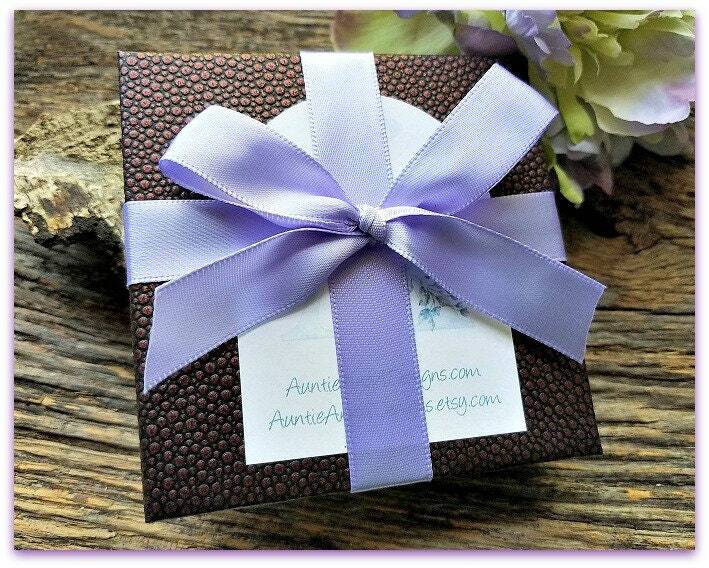 This lovely paw print charms cremation or fur urn necklace comes beautifully gift-boxed with ribbon and is ready for gift giving.